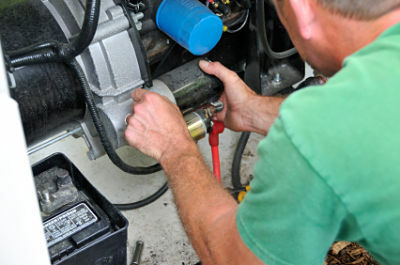 SMITH GENERATORS does it all! From ground-up preparation, to installation and full testing procedures, we are factory trained technicians with an extensive electrical background. Our annual service program consists of periodic check-ups to ascertain that your power system will be ready to run automatically in the event of a power failure. Complete installations are priced according to the job.